This year, Rebecca has been racing Modern Herbie. So far she’s taken part in three 45-minute races in the 3.2 V6 Beetle. The first time Rebecca raced the Beetle was at Donington. She qualified 24th out of 38 and climbed to 13th during the race. It was here she realised just how much she enjoyed the V6 Herbie and had an absolute blast. 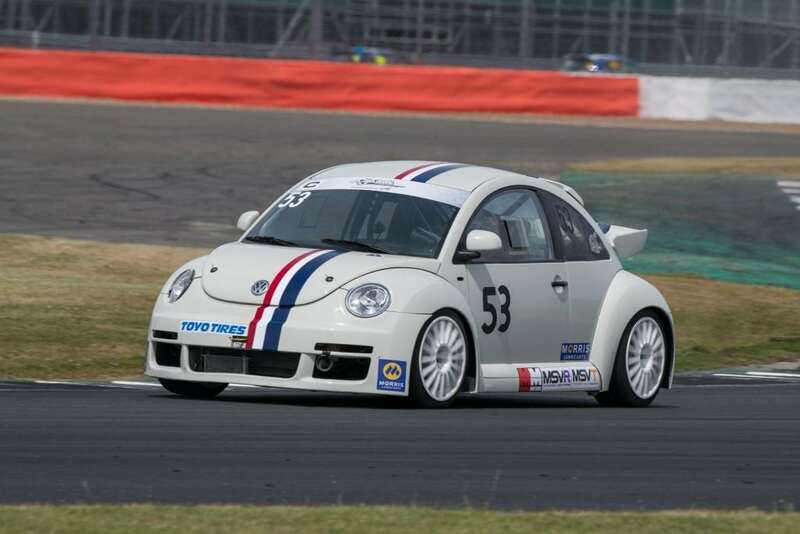 The most recent race at Silverstone didn’t start too well because Modern Herbie broke down before qualifying meaning the team had to start at the back of the grid for the first race. Rebecca spent an exhilarating few laps making it from P38 up to P23. Then, unfortunately, the car broke down once again. For the second race, Rebecca started in P17 and managed to make her way up to 13th, which was 5th in her class. A fantastic result considering the troubles they’d had earlier in the weekend. The cute but quick Modern Herbie is run in collaboration with OMG Racing UK, who own the car; OPIA, a creative sales promotion company; and Welch Motorsport. If you’ve seen Rebecca racing this car, you may have also noticed the Morris Lubricants sticker on the side. The next race will take place on 18 August at Brands Hatch.